Crafted with 11 real ingredients – Organic Herbs and Organic Spices blended to perfection, one simply adds this entire packet to mayo and/or sour cream or plain Greek yogurt creating an amazingly delicious onion dip. Preparation time is approximately 2 minutes. With CJ’s Organic Onion Dip Mix ingredients respect for dietary sensitivities allows a healthier onion soup mix alternative to be used in your favorite recipes. This onion dip goes incredibly well with vegetables, chips, and a dollop on a steak or burger. Absolutely Delicious! Tip for smaller portions: Empty Entire packet into a sandwich-sized zip lock bag, shake well, allow for ingredients to settle along the bottom of the bag; then fold bag into half along the bottom creating two chambers, using the zip lock open for that side of the fold, pour out that side only, saving remaining half for later (place unused ingredients in sandwich bag back into original CJ’s pouch to remind you of the product). This process “halves” the packet to allow for (2)- 2 Cup servings. Add this “half” mixture to 1 cup mayo and 1 cup sour cream and/or plain Greek yogurt, mix well. Enjoy! CJ’s Organic Onion Dip Mix. A Spice/Herb mixture that’s gently blended using 10 different USDA Organic and Certified Gluten-Free Herbs and Spices by GFCO. One simply mixes the entire packet with mayo and/or sour cream or plain Greek yogurt per the labels directions. The preparation time is approximately 2 minutes. Each packet creates 4 cups of delicious dip providing a generous amount for parties or for several late night indulgences! Try one of our simple onion dip recipes below. Therefore; CJ’s Organic Onion Dip Mix proves to be a healthier alternative for onion soup mixes in your favorite recipes. By simply emptying the entire packet of CJ’s organic onion dip mix into another container, shake well to blend the spices/herbs together completely. Feel confident knowing that these blends are better options for you and your guests. Crockpots (Slow Cookers) with Pork, Beef, Chicken: 1 packet with 2-3 pounds of meat, additional 1/2 packet per additional pounds. Meat Loafs and Onion Burgers- 1 packet per 2 pounds of beef, 1/2 packet each additional pound creating mouth-watering meat loaf or burgers. This extremely versatile onion spice-blend mix pairs exceptionally well with chips or dipping fresh vegetables. Cucumbers, carrots, broccoli, cauliflower, celery, radishes, bell peppers, cherry tomatoes are easy to prepare and are great compliments. Presenting these fresh vegetables paired with fresh onion dip creates an amazingly fresh party tray that will have your guests wanting more! Calling all BBQ grillers, combining a large dollop of prepared onion dip atop a grilled burger or steak is divine. When the grilling is complete, serving the remaining onion dip for vegetables, french fries, sweet potato fries, or tator tots completes the tasty experience! Wing lovers totally enjoy this onion dip instead of using a preservative added salad dressing. Additionally, CJ’s Organic Onion Dip Mix is delicious when mixing individually any of the following ingredients: Sour cream, plain Greek yogurt, cream cheese, and cottage cheese. 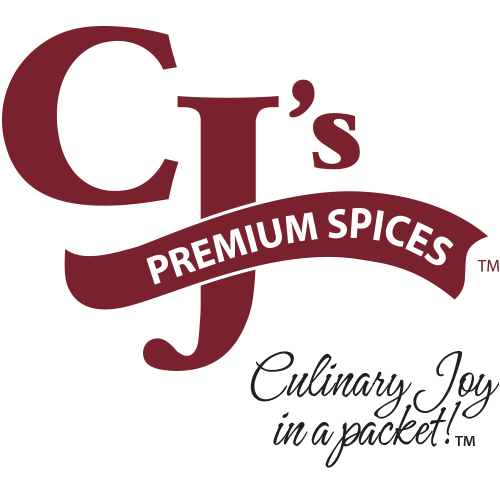 In keeping with your dietary needs, CJ’s Premium Spices provides the healthy spice blends helping you create your fabulous tasting dishes. In conclusion; Try any of our recipes, then share your own recipes with all of the Facebook fans of CJ’s. This stuff is that good!